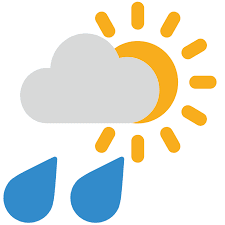 News in Youth Services: What's the Weather Like Today? Some of you may recognize this beginning stanza as a familiar preschool song and Tracy Butler as a Chicago meteorologist. I'm not sure if you've notice, but weather has been a HOT topic the past week or so. Punxsutawney Phil did not see his shadow on February 2nd, predicting an early spring for us. Don't get so excited yet. Poor Phil is only correct 40% of the time, but he's got a tough job - he's trying to predict the weather for the whole country! Weather is such a vast and interesting topic. I still love learning about tornadoes, hurricanes, tsunamis or earthquakes. You'll find me checking my weather app several times a day looking for the temperature or viewing the radar seeing if I can track when the latest precipitation is going to affect my area. When planning a trip, I look at the forecast for the area of the country I'm visiting so that I pack the right clothing. 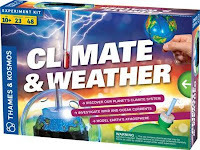 Weather is science and children, especially younger ones, love science. Their enthusiasm is probably due to all the hands on experiences they have through experimenting. The library has lots of great books and DVDs on weather and meteorologists, those who predict the weather for us. Many of the books offer experiments families can do together. Another option is our Weather and Climate science kit that includes a book, a DVD and ready to go activities to increase your weather knowledge. Maybe these materials will spark an interest in your child and he or she may be the next Tom Skilling, Cheryl Scott or Mary Kay Kleist! Personally, I'm hoping that Punxsutawney Phil is right and that spring is coming sooner rather than later. But for now, I'll just enjoy our warmer winter temperatures.